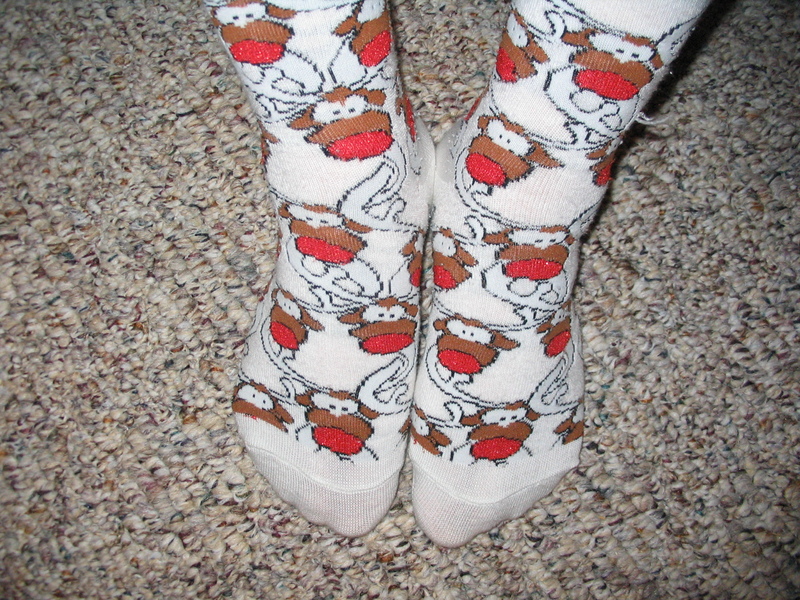 Dec 5 – Not to brag, but I’m the queen of finding things in my household. It’s like X-ray vision, mom-style. If it’s there, I can find it. If I can’t, it might not have existed in the first place. Lately, I thought someone must have given me Kryptonite socks because I couldn’t find the outdoor extension cords for the Christmas lights. I finally found them (Yes, Virginia, they do exist. ), but it delayed my outdoor decorating by a day. Bah humbug! .My helper had to go to work, but yesterday, I finally got the lights up outside. By myself. In the rain. In the cold. On a step stool. I ache in places I didn’t know could ache. Hair. Fingernails. Armpits … Bah humbug again. 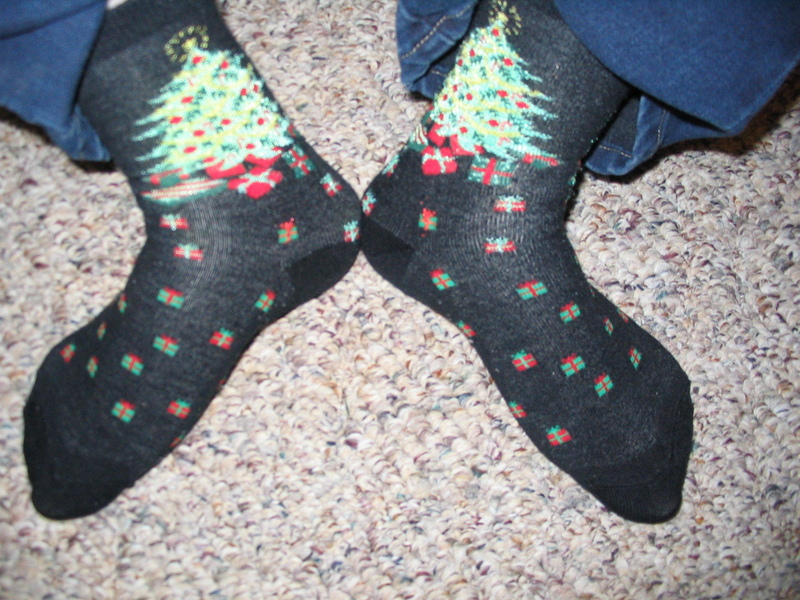 Today, I’m wearing an older pair of comfy Christmas tree socks. That, and a good look at the lights shining brightly to welcome me home from my meeting tonight will get me back in the Christmas spirit. 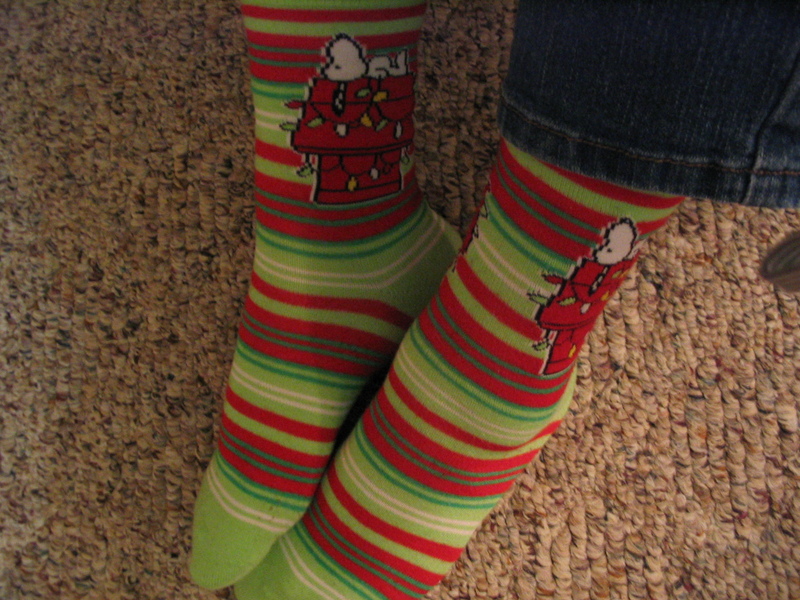 Stay calm and socks on.